As six new Evil Beasts threaten the three countries of Avantia, Kayonia and Gorgonia, Tom and his faithful companion, Elenna, must hunt down the invaders and destroy them. If they fail, all the kingdoms will face ruin, death and destruction. But in their latest terrible flying foe, have the young heroes met their match? 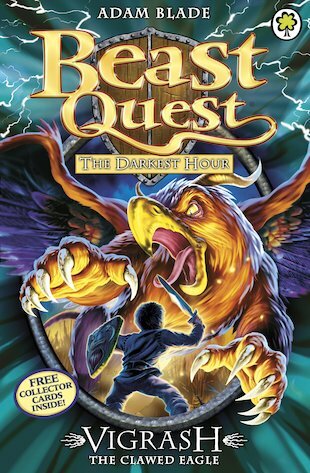 Download free wallpaper of Beast Quest Series 12 beast Issrilla the Creeping Menace.